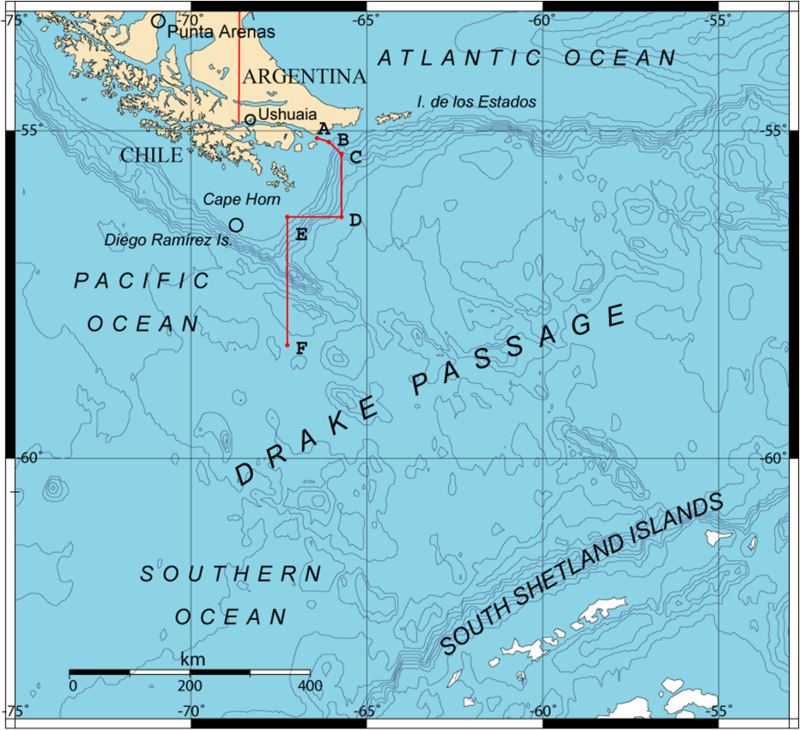 Yesterday was uneventful really, from a Drake Passage perspective. After watching the waves breaking and exploding over the reef in the English Strait we start rocking quite hard as the waves from the Drake Passage are funnelled into the Aitchoo Islands we passed. Once we are out into the open ocean the waves, which are only around 8ft tall start getting wider. This creates a steady baby like rocking, but soon the NNE wind started competing with this swell by driving waves from this direction as well as from the NW , creating a rolling (side to side) and rocking (front to back). Literally we were rocking and rolling. It is just a shame no one seemed to appreciate this! A low pressure system was predicted to increase the swell this morning and indeed from 9am the weather was partially cloudly, which meant that a golden highlight was seen on the wave crests, making the crossing majestic indeed. This was enhanced by the patterning created by the winds gusting to 50knts. The waves later became more organised. The wind is lashing the sea into stright lines as it howls and creates white crests that spew into vertical jets of sea spray. Breakfast was rocky and waves were already eclipsing the windows on level 3 as we nosed into the wave troughs. Here and now waves are reaching level 4 to level 5 and the bridge tells me they are now reaching 7.5 meters or 20 ft, some slightly larger. Spray is driven over the whole boat at its climax, cups and bottles go flying and smash over the floor. White horses are seen approaching the ship and signal and approaching lurch of the boat as it is thrown forward and then back again in the fresh mint colour sea. “This is pretty lumpy” claim the expedition staff, so the decks are closed and lunch is cancelled. This is a massive shame given that I am starving and we have used to 5 course meals everyday. 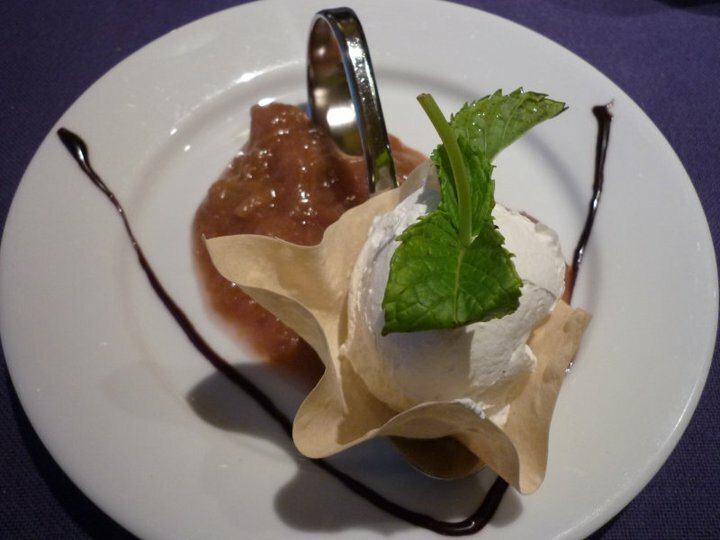 How could you not face a sweet desert like this, even if you are feeling a little seas sick. Curse the weak. It is a fine typical day on the Drake. Especially considering this is not even in a storm. Imagine that. Either way we make it through with little serious problems, except people feeling green for a few days except myself and a few others and it is good to say that we experienced a reasonably rough crossing to understand the potential power of the Drake Passage. We are following your journey & feeling quite ill thinking about the rough sea’s, the temp here in the uk now is 22deg today, which makes us feel cold reading this blog!